Appearance: Standing at 6' 3" (1.8m), Hawke stands a head and shoulders above most of his peers. He is of middle build, weighing roughly 165lb (75kg). His body is decently toned, but by no means muscly - he regularly swims in order to keep himself in shape, as well as to keep his leg in working order. His toned body and height make him appear slightly older, and the light shade of stubble across his chin does nothing to betray his youth. leg, and this slows him down quite substantially. Beneath his clothes Hawke has several scars across his abdomen and chest that he does not take special care in hiding. As for his clothing, he tends to wear smart casual clothes when not wearing his school uniform, generally a t-shirt coupled with a button-up shirt or sweater. These are accompanied by either black or grey skinny jeans and a pair of converse. Despite predominantly growing up in the London area, Hawke has the accent of a middle class Brit, thanks to his parentage and private school tuition. Backstory: Hawke is the son of a French woman, Marie Dèmure, who grew up in England from her teenage years, and her English husband, Tiberius Hawke Sr, a former Chief Inspector of the Metropolitan Police Force. Both the Dèmure and the Hawke families come from "old" money, and Hawke's parents never wanted for anything as children, benefitting from the highest of education and being spoilt rotten. They met in a boarding school in the south west of England when they were 14, and have been in love ever since. Soon after leaving school ar 16, Hawke Sr. and Marie soon grew sick of the "high life" handed to them by their parents' wealth, and cut all ties from their biological parents. They spent the next two happy years travelling around Europe, with Marie funding their life through the writing of a travel column for a newspaper in England and Tiberius picking up odd jobs as an unskilled laborer in the towns they passed through. Eventually, they were married in a chapel in the small village that Marie grew up in, and Marie Démure became Marie Hawke. Soon after the marriage, the newly wed Hawkes discovered that they could no longer cope away from the life of luxury that they had grown up with. Their heads hung, the pair returned to England and reestablished contact with their families, who thankfully welcomed them back with open arms, and open wallets. With the help of his father's influence, Tiberius Hawke Sr. was accepted to study criminology at University College London, and then went on to join the police force. Within five years he had already reached the rank of sergeant - despite his family's influence, he was still a talented policeman. He dilligently worked away for the next five years, and was eventually transferred to the Metropolitan Police to join a new initiative as an Inspector after a further five years. The new initiative was focused on bringing down gang warfare in and around inner-city London. Meanwhile, Marie worked on her writing career from the Hawke family home just outside London. For a time, she continued working as a newspaper reporter, writing columns for local newspapers, but eventually moved on to writing novels. She enjoyed several years of success, earning favorable rankings in the book charts and becoming a minor celebrity. She fell pregnant at the time of Hawke Sr's promotion to inspector. The pair were happy, and Marie continued her writing well into the pregnancy. While Hawke Sr. lived a dangerous life, shutting down several major gang operations, his promotion and the book sales earned the young couple a decent amount of money, but they purchased their first family home with a lot of help from the family coffers. Tiberius Hawke Jr. was born on the 18th October, 1998. He was born healthy, and the happy parents soon took him back to their new home. While Tiberius Jr. grew up, his father worked hard to pay for everything the child would ever need. It never seemed to be enough though, and the young family used ever more of the family money. The child grew up in comfort, in his formative years he became interested in music while listening to to the music his mother played as she wrote. He attended a private preparatory school where he enjoyed learning to play the piano, but also enjoyed his regular lessons in English. At home, his mother taught him French so he could communicate with her side of the family during their infrequent visits, and whenever they travelled to France on the yearly holidays to Chateau du Dèmure throughout his childhood. In 2003, shortly after Hawke Jr's 5th birthday, his parents revealed to him that he would soon be having a little sister. On the 3rd of December 2003, his younger sibling, Tegan Hawke, was born. Her birth was had complications, and Tegan was born with severe respiratory problems. As they both grew older, they developed a true brother and sister bond and were firm friends - Hawke made sure to include her in everything he did around the house and always made sure she was safe and happy. By age 10, Hawke Jr. was required to move to a secondary school. Despite their flight from the school, Hawke's parents ultimately decided that the school did a lot of good for them as young adults, and packed the young boy off to live in the South of England during school term time. At the school, Hawke was nervous and struggled to make friends at first. He was among the offspring of society's elite, his peers were the sons and daughters of wildly successful individuals, whereas Hawke was simply there as a result of his grandparent's wealth. Hawke always felt awkward around the other students when they discussed their parents, and on more than one occasion Hawke would find himself being teased by one particularly unpleasant child. This child's father was the Comissioner of the Metropolitan Police, and was subsequently Hawke Sr's boss. the boy would constantly joke that Hawke worked for him, and publicly humiliating him by treating him like a slave. Tegan also attended the school, and she and Hawke still always found time for each other. The years went by, and Hawke's passion for music only grew, and by 13 he had expanded his repertoire to include the guitar - both bass and regular. He formed a band with a the few close friends he had, and they played at the school concerts and generally went down very well. Hawke sang and played lead guitar within the band, and they played mostly covers of old classics, with some original material thrown in here and there, This earned respect among Hawke's peers, and suddenly he found himself to be the "cool" child at the school. Thus began's Hawke's true talent - breaking hearts. Over the course of year 9, Hawke acquired a slew of ex-girlfriends and became quite the womaniser. At the same time, Hawke Sr. was promoted to Chief Inspector of a unit within the anti-gang task force, and Hawke eventually became friends with his former bully. He formed a strong group of friends around him, and became very popular among his friends. His grades, which were generally quite strong, began to slip, and his teachers reported noticeably worse behaviour from him within classes. Gone was the quiet and reserved Hawke, replaced by a new cocky, smart-mouthed Hawke. He began to play the class clown, entertaining his new friends by acting up and causing hassle for the teachers. His evenings were being spent in detentions, and his backlog of homework grew to the size of a mountain. On Hawke's visits home, his parents began to notice the arrogance within him that was not there as a child. They realised, all too late, that they had done the same thing to their child that their parents had done to them - he had become a fully-fledged spoilt brat. As soon as Hawke Sr. heard his child refer to one of the local children as "common" when Hawke visited home for his 14th birthday, he was immediately withdrawn from private school and returned to the family home in London. He then attended a local state school for the remainder of year 9 and the rest of his GCSE career. Once Hawke started at the new school, he soon became quietened. Much to his horror, the position of class clown was oversubscribed - he was used to small class sizes at private school but was now in classes that sometimes had more than forty in them. His smart mouth was drowned in a sea of others, and he soon learnt that his middle class accent earned a snigger from his classmates. He was never explicitly bullied at school, but he would quite often catch people pointing at him and giggling to each other in the corner of his eye. Tegan stayed at the boarding school, and the pair missed each other terribly but would still be the best of friends when she would return to London for the long weekends and holidays. It was not all doom and gloom at school for Hawke, however. He earned a place among a circle of friends and grew to become firm friends with them. They even began a small band, and his talent for music flourished as he threw himself headfirst into the band. By the summer term of year 10, Hawke's band was playing several gigs a month, mostly open mic nights, but it was more than most had achieved in the music world at age 15. As for his studies, Hawke took the easy route and chose French as one of his options for GCSE - he was practically fluent anyway thanks to his parentage, and he obviously chose music as another subject that he excelled in. He had once again risen to become a grade A student, easily passing exams and becoming something of a favorite among teacher's - he was not the classic "work every waking moment" student that they were used to, he simply breezed through the course content. Everything seemed to be coming up Hawke, he finished his exams in year 11, confident in his results, and was finally released into the extra-long summer holiday that every British child was promised once they finished their GCSE year. The first week of his freedom was wasted on staying at home and playing video games with his friends, and his father eventually convinced Hawke into joining his father's nightly jog around the neighbourhood. At this point, the Hawke family had moved into their second family home. They still lived in London, but they had moved into an apartment near to the city centre in order to be closer to Hawke Sr's job. Their nightly jog took them to all sorts of places: Oxford Street, Camden, Hyde Park. They saw all sorts, and quite often Hawke Sr. would be recognised by members of the Met and they would stop for long chats. This got Hawke Jr. interested in police work, and he began to regularly visit his father's office and took on a work experience placement as an office secretary. One day, Hawke Jr. was allowed to follow the squad on a standard arrest: one of the gang's drug factories had been found and Hawke Sr's unit was to be the one to barge in and make the necessary arrests. Kitted out with a stab vest and a police helmet, Hawke Jr piled into the police van along with his father and his colleagues, and they arrived at the abandoned warehouse on the outskirts of the city. They crept towards the warehouse undetected, and in a sudden flash of movement it was all over. Hawke Sr. and his officers entered the building through three seperate doors, badges outsrteched screaming for the gang to throw down their weapons and surrender. Hawke watched from the back of the room, amazed. He had never seen his father in action before, and a grin spread across his face as he watched his father arrest a multitude of criminals. However, all did not go to plan. Little did the unit know, the gang had hidden a trapdoor beneath some empty crates, and they were caught off guard when several more of the gang came pouring out, and began laying into the officers, beating them mercilessly with makeshift weapons. Hawke Jr. was trapped on the other side of the group of thugs, and one noticed him behind them when he called out to his father. Seeing as Hawke was dressed in the police-issue stab vest and the recognisable custodian helmet of the British police force, he was assumed to be a member of the team. One of the men began to mercilessly beat Hawke Jr, and before the situation was under control a lot of damage had been done. Hawke and his father were bundled into the back of an ambulance, and Hawke lay in critical condition for three days, with severe wounds to his chest and leg. When Hawke awoke following his third major surgery in a week, he found his life to be changed. The first thing he noticed was his haggard father asleep in the chair next to his bed, looking grey and exhausted. The second thing he noticed was a dull pain in his right leg. The doctors informed him that he had been stabbed several times in the joint between the knee and shin, and would likely never be able to walk again. After several weeks of physiotherapy and bed rest, Hawke was permitted to leave the hospital. From then on, he had to take daily pain medicine in order to keep the pain in his leg to a minimum, but also to avoid cluster headaches that would likely come as a result of a small brain hemorrhage that he had suffered following the attack. The next few weeks were tough for the Hawke family, his mother was furious at his father for not being careful enough with their son, and his father blamed himself for what happened. He was fired from his job as Chief Inspector once the Commissioner found out that he had brought a child to an active crime scene, and Hawke's father soon succumbed to depression, and Hawke began noticing more and more empty wine bottles in the recycling bins. The topic of school was also a big problem, Hawke planned on attending a local college for his post-16 tuition but this did not seem possible while he was still having daily physiotherapy and was unable to move very quickly at all. When the subject was broached with his doctor, The Tachibana Academy was mentioned. Both Hawke and his parents were intrigued by the idea of moving to Canada, and eventually the Hawke family (minus Tegan, who stayed at boarding school) upheaved themselves and traveled halfway across the world to begin their new life in Toronto. As expected, Hawke was upset to leave his friends behind, but he knew full well that he could not squander an opportunity as fantastic as a prestigious international academy. He said goodbye, shed a few tears and settled down in the suburbs of Toronto. As always, Grandpa Hawke made a large donation to the school's founding fund in a grand display of wealth, and Hawke was accepted into the school, due to start at the beginning of the next school year in grade 11. For ease of transport, Hawke opted to stay in the school dorms during the week and returned to his parents during the weekends. With excitement in his chest and a dull throb in his leg, Tiberius Hawke Jr. was ready to tackle the latest chapter of his life. Personality: Hawke is a reserved character, having learned the price of cockiness at a young age. Around new people, he is generally cautious and quite private, giving out few details of his personal life while simultaneously making an effort to engage his conversational partner in discussion. Despite his reserved nature, he is generally a happy person and is willing to chat to anyone that approaches him, but he will rarely make the first move. His keen interest in music still causes him to babble on about the latest band if music is mentioned. One aspect of his life he is oddly vocal about, while many people would usually keep details of horrific accidents to themselves, Hawke is always eager to talk about his leg and show of his gnarly scars. He thinks of it as a scene out of some cop film filled with explosions and guns. He also suffers from a chronic weakness: women. He is a serial flirt, and can't help but try to impress the girls he's interested in (although he tends to have quite a high standard when it comes to his women). Grimm wrote: NB: The backstory is in spoilers because it was 3k words, not because it's a secret. Appearance: Tegan is a relatively short girl, standing at only 5’ 2”, quite short for a woman, with a slim build. At 14, Tegan still retains her youthful looks, and prefers to wear her dark grey hair in a tight bun, with choppy bangs at the front. Two of the bangs hang loose to the sides, longer than the others. More often than not she’ll wear some kind of accessory in her hair, usually a brightly coloured ribbon, although she mixes it up from time to time depending on her mood.Her most striking feature is her stormy grey eyes, peering out from beneath her bangs. The eyes are an oddity among her family, as both her parents sport chocolate brown eyes. In her casual clothes, she normally wears either tank tops in varying colours or a white shirt underneath a black hoodie, and tends to wear skirts rather than trousers, along with a pair of black sneakers. In the field, during training and in public appearances she wears a black leotard, with crimson fingerless gloves and boots that extend to her thighs. Completing the appearance, she drapes a crimson cloak over her shoulder, complete with a hood for anonymity should she require it. Her katana is kept in a black sheath strapped across her back, with her dagger being kept in a hilt that rests horizontally across her waist. As a result of her spending a lot of her early life and subsequent school holidays in France, she has a very slight French flair to her accent, although it is still easily recognisable as a middle class English accent. Tegan was born on the first of November 2000 to her parents Marie (née Dèmure) and Tiberius Hawke. The Hawkes were a young family, already with a 4 year old son called Tiberius Jr., living in the outskirts of London. Right from the start, the family struggled after Tegan was born. She was a well behaved infant, she didn’t cry and slept relatively well, but the problem lay with Marie, Tegan’s mother. The family noticed a change in her, and she didn’t act like a mother with a newborn normally would: she seemed to avoid Tegan at all costs, only picking her up to feed her, and pretty much left the child in the care of Tiberius Sr. This went on for a few months and, eventually, Tiberius grew tired of essentially being a single parent, and confronted his wife, fearing the worst: postnatal depression. What he discovered, though, was much worse. Marie claimed that Tegan would speak to her when she was near her daughter, and was clearly becoming paranoid. Obviously, this worried her husband greatly. Over the next few days, he tried to coax more of the story out of Marie while trying to encourage her into spending more time with the baby. His efforts had… mixed results. On the one hand, Marie explained that the baby would “tell” her when she was hungry or had some other need, but on the other hand she was growing more and more paranoid by the day, and eventually outright refused to be in the same room as the baby. At his wit’s end, Tiberius Sr. gave up, and called in professional help. Marie was diagnosed with severe postnatal depression, and the “talking” was chalked up to depression-related psychosis. Thankfully, Tiberius and his wife both had rich parents, so Marie was checked into a prestigious mental health facility, located in the countryside a few hours from London. The following months were hard, Tiberius struggled dealing with the two young children and his compassionate leave from the police force was coming to an end. He struggled to find care for Tegan while he was at work; there was a long list of nannies that had quit for varying reasons, none of which Tiberius Sr. believed. It pained him much to do so, but he eventually decided to split his family up. He and his son would remain in England, seeing as Tiberius Jr. was old enough to attend nurseries and soon enough school, and Tegan would be sent to live with her grandparents in France until she was of a similar age. She was sent to M. and Mme. Dèmure, who lived in a large manor house in Northern France. The solution had actually been proposed by the Dèmures themselves, who felt guilty that their daughter had, in their eyes, failed the family. While they were grandparents, they had only just reached their late fifties, and were still of sound enough body and mind to look after the infant girl. Tegan was delivered to her grandparents on the day she turned six months old, quiet as a mouse. From then on, she knew nothing but care and affection, particularly from Clément, her grandfather. He treated her as something of a personal project, ensuring that she developed as stably as possible without a mother. Given that he and his wife no longer worked, they spent almost the entirety of their time with her, caring for her and ensuring she formed well. By the time she was one she was a confident walker, and by two she was able to hold a basic conversation. Her grandparents were trying to bring her up to be bilingual, much to Tiberius Sr’s approval whenever he visited, which was as often as his line of work permitted. Meanwhile, Marie showed no signs of improving. She still insisted that her delusions were real, and that her infant child really did speak to her. As the years passed, the once beautiful woman became haggard and pale, looking less and less like her usual self as she refused meals and stayed inside. Eventually, she stopped coming out of her room to receive her family when they came to visit, and stopped talking to her doctors. Things continued on like this until Tegan was five, at which point she was merrily babbling away in both French and English to her grandparents, and her brother and father whenever they came to visit. She was growing up to be quite talkative; some days her grandparents thought the constant stream of questions would never end. As she grew, she developed a keen interest in the antique weapons on display around the chateau that her grandfather had been collecting for several decades. He took to teaching her the ins-and-outs of the weapons, and was the first to introduce her to combat sports. In his prime Clément had partaken in a variety of combat sports such as fencing and kendo, and took it upon himself to indulge in Tegan’s interests and begin showing her the ins-and-outs of swordsmanship. He taught her rudimentary fencing and kendo at a young age, which she responded to quickly. Despite her young age, she was able to come to grips with the very basics of swordfighting, dedicating many hours a week to practicing with her grandfather. During this happy period, however, Tegan’s strange abilities came to light. One morning during breakfast she came downstairs, babbling away to herself like she normally did. All seemed normal, until she spoke up to her grandfather and asked why he’d been dreaming of her mother. Shocked, he asked how she knew, and Tegan simply explained that when she couldn’t get to sleep she listened to her grandparents’ dreams. Unsure of how to react, Clément decided to keep the revelation away from his wife for the time being, and began probing the subject more and more with Tegan during their training sessions. He quickly discovered that Tegan wasn’t simply limited to dreams, and could hear his waking thoughts as well. After a while, they eventually discovered that Tegan could transmit her thoughts to him. After that, Clément put two and two together and deduced that in fact his daughter was sound of mind. Despite this revelation, he couldn’t very well march into the mental health facility and claim it was true, nor could he have a potentially suicidal mental health patient discharged, so he decided to simply bide his time until Tegan was older and could come to a rational decision herself. In the meantime, however, he helped Tegan develop her ability, spending many nights “talking” to each other from separate rooms. Much to his chagrin, she discovered that she could use her ability to cheat while fencing, and began to prove a much greater challenge to him. At first, it only granted her a minor advantage, but as she grew in power and got more and more used to interpreting thoughts and reacting to them on the fly, she was soon able to anticipate virtually every move that her grandfather made. However, the time soon came for her to return to England with her father, seeing as she was now old enough to attend school. She was sad to leave her grandparents, but was glad that she was living with her father, with whom she had developed a good relationship despite his infrequent visits. She still visited her grandparents however, returning to the chateau along with Tiberius Jr. every school holiday. Her grandfather also made sure to continue practicing her various combat sports with her, finding himself outmatched before she’d even turned 12. She was enrolled in the same school as Tiberius Jr., a local private school on the outskirts of London. She exceeded in her studies, often finding herself bored in classes, due to the amount of time her grandparents had been able to dedicate to teaching her. Quickly, she discovered cheating on tests was incredibly easy, thanks to her power, and simply copied the cleverest people in the class for a while, making sure to make intentional mistakes to avoid detection (this came to an end, however, at around 9 when she realised that the cheating was pointless, and she had gotten to a stage where she would get the majority of answers right anyway without her ill-gotten aid). Her social life was a rocky one, on the one hand she was popular and well-liked, interested in the usual things that young girls obsess over, like the latest boyband craze or celebrity gossip, but she also discovered the down side to her power. She could hear what people truly thought about her. It became force of habit that she’d read the thoughts of people around her, and quite often what she found wasn’t pleasant. Sure, her friends admired her and genuinely liked her, but nobody’s perfect. She’d quite often find them thinking not-so-friendly thoughts. She learned to accept this as a fact of life, though. Hell, she even had the same thoughts herself. That still didn’t make it pleasant to hear. This led to her becoming rather mistrustful of people in general, aware that despite the compliments people paid her, they were also accompanied by a lot of secret dislikes. During her school years Tegan continued to hone her combat sports, and joined a local fencing club. Unfortunately, there were no kendo clubs nearby for Tegan to attend, but after a pleading phonecall with her grandfather she was gifted with her own bokken, and would practice in her back garden on her own, working on her posture and speed with the two handed blade. At age 8 she began competing in fencing competitions, and her success was unparalleled. A combination of her early start, natural skill and supernatural abilities allowed her to dominate the junior championships, and she became a national champion in her age bracket in no time at all. During this time, she also set her sights on Eskrima. She overheard several of the older students at the fencing club talking about eskrima, and was immediately drawn to the speedy takedowns and the use of the opponent’s strength against them. She began hesitantly, learning a few moves on the internet and purchasing rattan sticks to practice with. She knew her father would never condone such a dangerous sport, but was pleasantly surprised when he discovered her in the back garden alone at 10 years old, fencing sword in one hand and rattan stick in the other, whirling and striking and the battered tree that she used as a training dummy. She quickly felt his presence, and apologetically stopped, quietly explaining what she was doing. tiberius Sr. agreed to allow her to seek proper training, on one condition. He demanded that she visit her mother. Up until then Tegan had point-blank refused to visit her mother, claiming that she felt betrayed by her mother for abandoning her. To her father, she made it seem like she didn’t fully grasp the consequences of “depression”, but deep down she knew that she didn’t want her secret revealed. Her grandfather had warned her that her mother would more than likely react in a bad way to Tegan, and her secret would be revealed one way or another. However… Tegan did miss her mother terribly, and eskrima was simply too tempting to give up. An appointment was made, and the Hawke family made their way to the hospital. As usual, Marie did not greet her family in the common room and the family were admitted into her private room, which took a lot of convincing from a nurse for Marie to let them in. At first, the meeting was awkward. Tegan and her mother simply stared at each other, unsure of what to say, until Tegan burst into tears. She felt completely wracked by guilt: her power had led to the malnourished being that stood before her, alien in her blank expression. Soothing words from her father helped her, and eventually the tears stopped. Tegan looked up at her mother, who still stared blankly. She didn’t seem capable of emotion anymore. Nothing at all. Sadness turned to anger, and Tegan snapped “Well?! Are you going to say anything? !” before aggressively invading Marie’s mind, ripping through every corner of her consciousness in a violent attempt to find some shred of humanity within. Her intrusion was obviously so sudden and explosive that Marie could feel the trespasser, and began wailing before throwing herself to the floor, screaming her vocal chords raw. Between the incoherent screams, the whole hospital could her crying out “She’s doing it again!” over and over, becoming more and more hysterical by the second. The Hawke’s never visited Marie again. Several weeks later she was found hanged by her bedsheets, the word “freak” scratched into every available patch of wallpaper. Tegan couldn’t help shake the feeling that her mother had been describing her. The death shook her, and she was wracked by guilt for a long time, but she was also aware that it was her mother’s own fault. She abandoned her daughter, rather than helping her. Tegan had every right to be angry. Her feelings on the subject stayed confused for the next few years, and she buried them under a hectic lifestyle. Tiberius Sr. kept his promise, and allowed Tegan to take up eskrima. However, the visit to Marie changed him. Tegan quite often found him looking at her, almost fearful. On the day of the funeral he barely spoke to his daughter, choosing to comfort her older brother instead. It was clear to Tegan that her father held her to blame, and had begun to doubt his previous assumption that his wife was delusional. She couldn’t blame him, his wife had killed herself and he found himself wary of his own 10-year old daughter. Their relationship suffered greatly, and communication between the two reached an all time low. From then on, Tegan threw herself into competition after competition, in both fencing and eskrima. As previously, she dominated the junior leagues and continued to smash opponent after opponent once she entered the amateur tournaments at 11. She was soon fighting 15 and 16 years olds, and had begun earning a small amount of fame in various sports communities, and featured in a few local news stories. She continued on at an average pace at school, her studies taking a back seat as she focused on sports. Her friends rallied around her after the death of her mother, and she found herself spending more and more spare time with them. Thankfully, this prevented her from descending into depression from the combination of the stress of her mother’s death and the hostility of her father. For the next couple of years, Tegan’s life continued this way. She continued to enjoy success as a fencer and eskrimador, kept her power to her chest and carried on her awkward relationship with her father. Tragedy struck shortly after her thirteenth birthday, though, and her grandmother suffered severe complications following a stroke and passed away. Her death hit Tegan much more severely than the passing of her mother, and the family were somewhat rallied by yet another tragic loss. Clément stayed with them for a time, and often conversed with Tegan about the problems she was facing with home life. They both had very different schools of thought when it came to approaching a solution: Tegan was content to let the matter rest, but Clément felt that she owed it to her father to reveal the true cause of his wife’s death. It took a lot of convincing, but shortly after Metahuman abilities were thrown open to the world following the death of Tyler Jacobson, Tegan came clean. Her father was wary at first, and refused to speak to Tegan for many hours, until he finally came to her late in the night and hugged his daughter. He whispered his thanks to her in the dead of night, and the two grieved for their lost mother and wife until the early hours of the morning. In the following weeks, the family were truly happy. Clément returned to France to live out his life as a widower, throwing himself into studying medieval history to while away the time, and the three members of the Hawke family found themselves in high spirits for the first time in years. Tegan entertained the family with her ability, and all was well. The letter from Kuriko Hatsuhara came as a surprise, but not as much as a surprise as when she turned up at their door a week later. The purpose of The Tyler Jacobson Academy was explained to the family, and they were offered an apartment in the Metropolis while Tegan attended the academy. Not wanting to waste his renewed relationship with his daughter, Tiberius Sr. quit his job in the police force, and found work as a security guard in downtown Chicago. Tiberius Jr. remained in a private boarding school in England, moving to the US during the holidays. Tegan was placed in the Sentinel group, assigned to the role of recon and communications, and chose the name “Warhorn”, remembering a long-lost lesson from her grandfather about horns being used in medieval wars as a method of delivering orders. 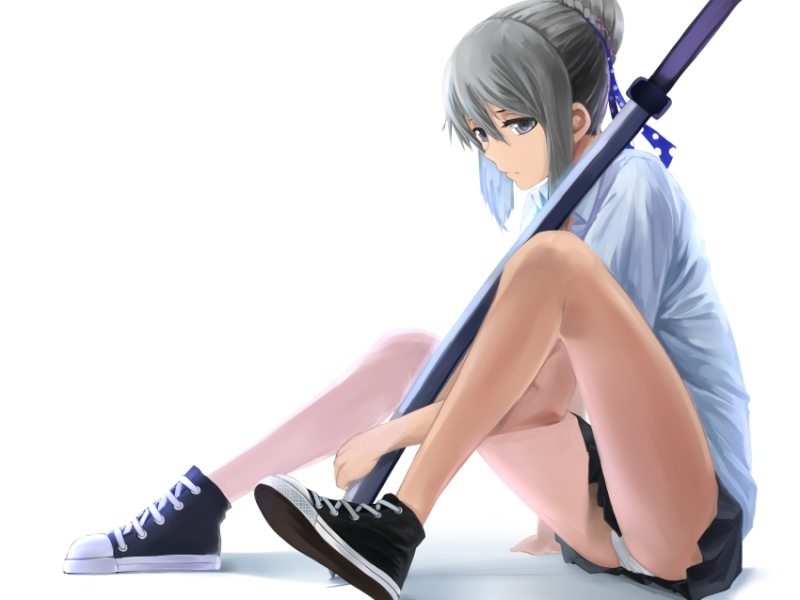 Upon her arrival, she was presented with her costume, and found that her grandfather had commissioned a custom katana and dagger made for her. The material used was a relatively new alloy called “Faywynium” that was ultra light, but could withstand a moderate amount of punishment and could be sharpened enough to cut through solid wood with relative ease. Powers: A simple way to describe Tegan's power would be "telepathy", but in truth her power is a lot more sophisticated than that. She is in fact able to control brainwaves, and temporarily change how herself and others transmit brainwaves, and even grant the ability receive them. While brainwaves control all that happens in the brain, her power focuses on those that make up the “consciousness” of a person, and essentially translates brainwaves into the thoughts of a person. She is also able to communicate this way in a non-traditional sense, by conveying emotions, wants, needs or even evoking pictures in the receiver’s mind’s eye.This allows her to traverse the language barrier, albeit in a very primitive way. She can achieve a multitude of mental feats, such as mind-reading, transmission of her own and of other people's thoughts, and the ability to give others temporary mind reading abilities. Practical applications of this power are vast, for example when engaged in combat she is more often than not one step ahead of her opponent, unless they're acting on instinct. She truly excels in a support role, however, acting as a communications system between the other Metas. In the modern day, it’s very easy for an enemy to disable conventional communication, for example radios or phones, but her power allows her essentially open up a mental radio link between people. While this does have its downfalls - namely the metas being able to hear each and every thought of the others while connected - the team uses it as a very effective method of communication. Her power does have one final “panic” button. This method requires all of her concentration, and it very difficult to achieve, but it is extremely effective in neutralising a target. To give an example, if she was backed into a corner and had no way out, she can essentially “shut down” a person’s thoughts, and turn them into a vegetable for as long as she needs. As previously stated, this ability would also disable Warhorn herself, and if used on a long-term basis she would need guards to protect her. Outside of her supernatural powers, her history with various combat sports has honed her skills with a blade as well as unarmed conflict. She uses a hybrid of moves from fencing, eskrima and kendo in a Frankenstein’s monster collage of martial arts to defend herself. She is skilled in both one-handed and two-handed swordsmanship, but usually fights with her two-handed katana. She always keeps a dagger at her hip though, as the different blades perform different jobs. Quicker opponents tended to be more easily dealt with with her dagger in one hand, taking full advantage of her sharp blade and the quick blows of her palm to overwhelm an opponent. Due to her physique, she uses swords that are very light and as a consequence resorts to quick blows rather than strong ones, normally opting to disarm and disable rather than dominate an opponent. Personality: Tegan is certainly a fiery individual, with a serious competitive spirit. When she is in a good mood, she is generally very cheery and talkative, but if she gets fired up or competitive she can come across as quite spiteful, and even mean at times. She has been known to have an angry streak at times, and if threatened to an extreme degree will not hesitate to resort to violence. Anyone that offends her or her friends will generally feel the sharp lash of her tongue. In terms of her relations on the field, she excels when leading her squad, dishing out orders from anywhere on the battlefield. Her ability compliments the role well, as she can easily discern the position and status of her entire team, and formulate plans quickly based on enemy locations, too. While she is capable of performing well academically, she prefers to use her intelligence for more practical applications such as problem solving, and devising tactics and maneuvers for the other metas and herself. She is well aware that she probably needs to try harder in “normal” lessons, but she finds combat and saving the world to be way too exciting to bother with that. She likes a lot of things you would expect of a 14 year old girl. Her interests include the latest celebrity gossip and pop music, but a fascination of all things medieval was drummed into her at a young age by her grandfather. She definitely likes socialising, and her love for her friends only comes second to her love of competition (particularly combat sports such as fencing or kendo). When faces with a new person she goes “on the offensive”, finding out as much as possible about them. She seldom uses her power to do this, as she feels that this takes away the point of friendship. another reason is that she has already learnt that even your best friend notices your flaws.